In the 1940s, many families were faced with shipping holiday gifts overseas for brave friends and family serving in the armed services. Many Parker ads prompted Parker pen gifting. It was an excellent choice back then, as it still is today. 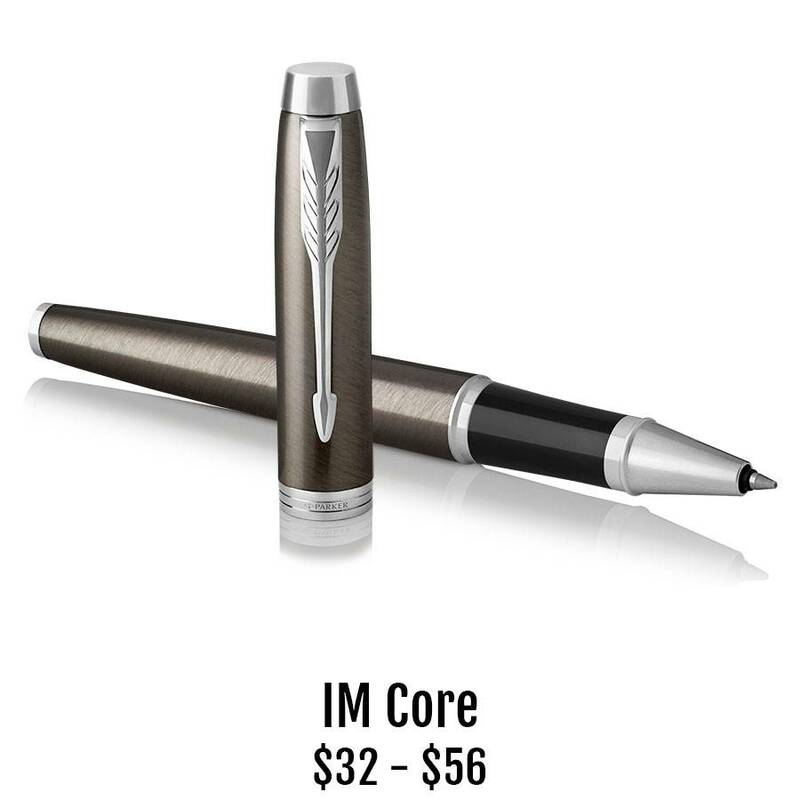 The totally redesigned IM Core collection is a great gift -- the multiple color and trim options, all of which engrave beautifully. Just pick out a fountain pen, rollerball or ballpoint in their favorite color; add some special words of encouragement or a name and rank; then order plenty of refills to keep their letters coming.